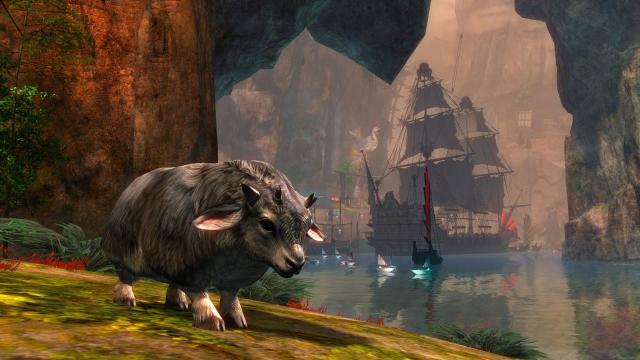 Is Guild Wars 2 Meeting Expectations in Festival of the Four Winds? Last Tuesday Guild Wars 2 broke from its small hiatus between updates with “Festival of the Four Winds”. Until the hiatus ArenaNet had been releasing updates every two weeks to spread an expansion’s worth of content over a year and all for free. Comparatively we see games like World of Warcraft still working on their newest expansion, "Warlords of Draenor", since "Mists of Pandaria" was released almost two years ago. This has left players of Warcraft with a severe lack of new, fresh content while those of us in Guild Wars 2 have had to wait a mere two months for this update. This content release schedule has left me terribly spoiled and makes me sound very self-entitled with what I want to say about this newest content. The guys enjoying Warcraft have had to play through the same raids, like Icecrown or Dragon Soul, for nearly an entire year and here I am about to be critical on this content that constantly breathes fresh life into Guild Wars 2. However, the reason I am going to be critical is because ArenaNet has proven they can do better. The festival features the Labyrinthine Cliffs, a map we saw during the “Bazaar of the Four Winds”, and the Queen’s Gauntlet, an area players experienced during the “Queen’s Jubilee”. These two pieces of content could be considered seasonal, repeatable updates if ArenaNet would take that stance with them. Repeatable content certainly isn’t a bad thing, either. The original Guild Wars had some great seasonal content, like Dragon Festival, and other games like Everquest 2 or RIFT thrive on that content between releases. The problem with this update, seasonal or not, is the fact that it goes against any other experience Guild Wars 2 has released to date. Even with their seasonal content, like Wintersday, they continued to make it unique. This festival is practically a carbon copy of everything we’ve seen before with some adjustments to make it harder to get rewarded for the experience. Fact of the matter is that I believe every player of the game expects more out of Guild Wars 2 than rehashed one off content. Out of all of this the only thing that could be called truly “new”, in this release, is the fact that merchants and other NPCs have returned to Lion’s Arch. They begin working on fixing the demolished city and re-establish is as the central hub of the game. Problem with this is that the word new is loosely defined here. Lion’s Arch, in this current state, doesn’t offer anything new that the old Lion’s Arch didn’t already have. The hints the NPCs are providing are engaging in their own right but that isn’t enough to make up for everything else in this release that veteran players have already done. The problem is that I don’t play an MMO purely for its story. I want a game to be engaging with me and when an MMO promises to ditch the “static, boring quests of an unchanging world” I expect them to actually bring fresh and new content to the table when they bring out a new release. The Queen’s Gauntlet and the Labyrinthine Cliffs can certainly do that but when they are near, exact copies of what we got last year? How is that ditching an unchanging world? You can’t add a new dialogue or two and change a merchant’s wares and expect me to think that this is a truly breathing world. I can get those slight changes in any RPG. I wish that this is just me saying that I was disappointed in this content. I wish that I, sitting on my 4,000+ hours of game time and having experienced nearly every aspect of the game, just wanted a bit more so I could keep entertained. The problem is that fellow guild mates view this content as purely for the achievements for them or a means to make some serious gold. People in global chat are very disappointed by a lot of the rehashed content that barely provides anything new but a few events or hard to get items. This release isn’t what we have gotten from Guild Wars 2 until this point. We’re all spoiled on fresh content and a constantly engaging story to the point that to have less is severely disappointing. The question is: What do I want from content like this? I don’t expect them to constantly push out new content to satisfy my desire for something entirely new. Dragon Festival certainly hasn't changed much in the five years since it was introduced to the original Guild Wars and it is still entertaining in its own way. If they want to make this a cycle then advertise it as a seasonal release and don’t try to hide what it is behind a bit of different colored paint. If they want to make it a unique release then do more than change two events, how we farmed an area last year and give us back a city that is mostly the same. Make it unique or don’t. Don’t just put it in the middle and expect us to turn a blind eye. Most of all don’t make me wonder what I am supposed to take away from a piece of content. I can’t say that festival is something memorable for a veteran player. I feel like some holier-than-thou hipster trying to tell all these new players that it was, “So totally better last year when the story made sense for us to get these things.” I don’t want to be that guy but I also want people to realize that Guild Wars 2 has done better. The veterans were forgotten about and I hope they are listening before things get really out of hand and I have to put on a fedora.